We have a gift for tradition, reimagined in our String of Pearls collection. 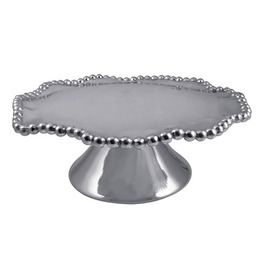 Pearls follow the contours of our Pearled Wavy Cake Stand in this brilliant serving piece. The Hartland Cakeplate’s traditional, elegant design is beautiful for pastry and presenting cheese, fruit, and other tasty treats! The traditional, elegant design makes it an excellent wedding gift. From our Le Panier Collection- With a simple silhouette and lower profile, this pedestal functions as both the sweet spotlight on your dessert table or piled high with muffins as the mainstay in your kitchen. 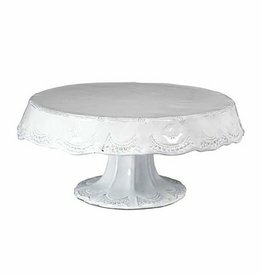 Put your homemade baked goods on a pedestal where they belong! Designed to be paired with one of our glass cake domes to preserve your sweet treats. 2-piece set. Stoneware cupcake stand features raised "Best DAY Ever" gold metallic scripted sentiment and gold mini dot accents. Arrives with coordinating stoneware topper. 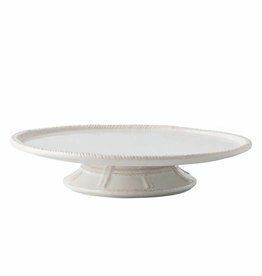 This oversized Cakeplate Dome is topped with the signature element of our Hartland collection: the distinctive Hartland ball detail. Store all that is delicious beneath. Whether you're baking shortbread or Sacher tortes, you want your efforts to make the best presentation. Our Hartland Cakeplate & Dome Set will elicit a standing ovation.